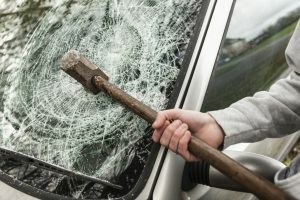 There are tens of thousands of cars on the road today have passed into “lapsed insurance coverage.” According to recent statistics from the Insurance Research Council, 16.1% of motorists on the road today are uninsured and 14% of all car accidents in the United States are caused by uninsured motorists. For this reason, prosecutors in New Jersey often come down hard on defendants who have been charged with driving without insurance. It is no small matter, a conviction for driving without insurance can cause you to lose your license for as long as two (2) years, in addition to other penalties. 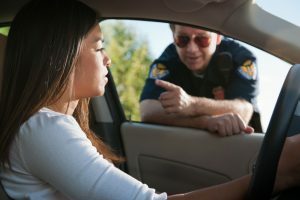 If you or someone you know has been cited for driving without insurance in Ocean County or Monmouth County, New Jersey, it is recommend that you consult an experienced traffic attorney as soon as possible. The Bronzino Law Firm, provides client-focused, dynamic representation and is here to help you navigate the New Jersey traffic ticket system. We work to minimize the potential penalties our clients face and protect their driving privileges. If you have been cited for any traffic violation in Brick, Toms River, Point Pleasant, Wall, Spring Lake, Sea Girt, Jackson, Howell or anywhere in Ocean or Monmouth Counties contact us online or call us at (732) 812-3102 for a free consultation. Failure to produce at the time of trial an insurance identification card or an insurance policy which was in force for the time of operation for which the offense is charged creates a rebuttal presumption that the person was uninsured when charged with a violation of this section. First Offense: If you permit your motor vehicle insurance coverage to lapse, the financial penalty for the first offense is a minimum of $300. You may be fined as much as $1,000 and sentenced to a period of community service. In addition, there is also a mandatory license suspension of one (1) year from the date of conviction. Second Offense: For a second offense, the financial penalty can be as high as $5,000 as well as a chance that you could be sentenced to a term of 14 days in jail and then ordered by the court to perform community service for a period of 30 days. In addition, a conviction will result in a mandatory license suspension of two (2) years. If charged with driving without insurance in New Jersey, there is a “rebuttal presumption” that you are guilty. Meaning the State receives the benefit of an assumption made by the court that you were in fact driving without insurance. However, an experienced and skilled traffic defense lawyer can help you contest this presumption. For example, you may be able to produce a proof of insurance that establishes that the vehicle was insured on the date of the violation. Moreover the defense can assert that your insurance policy was cancelled without your knowledge. For this reason it is recommended to speak to a knowledgeable and experienced traffic lawyer about any traffic violations you are charged with. Contact our Sea Girt and Brick Offices and Speak With a Traffic Attorney Today! 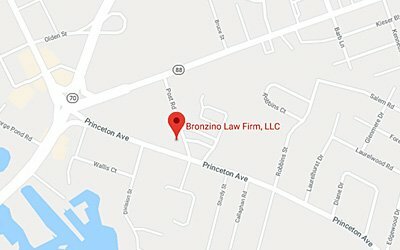 Attorney Peter J. Bronzino has built a practice and a reputation on the belief that each client deserves highly attentive, compassionate and effective legal counsel. The small size of his firm allows him to give a high level of personal attention not found in larger firms. 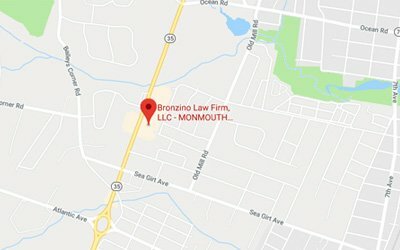 The Bronzino Law Firm, has extensive experience defending clients against traffic citations in towns such as Wall, Jackson, Point Pleasant, Sea Girt and over Ocean and Monmouth County as well as the surrounding communities. To speak with Peter Bronzino and our legal team today in a free and confidential consultation, please contact us online, or through either our Brick or Sea Girt offices at (732) 812-3102.